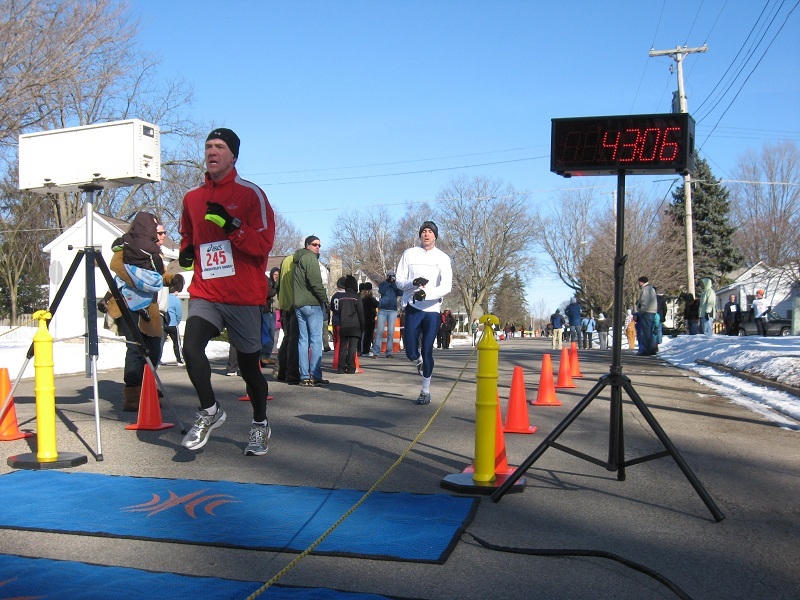 The FinishLine Clock is very rugged and can run in excess of 24 hours on a single charge. 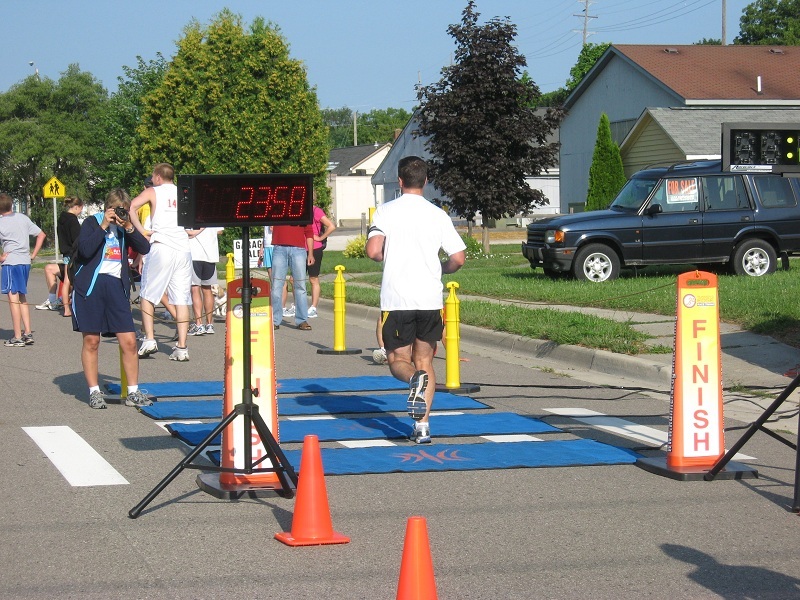 The FinishLine Clock will work well at the finish line or mile marker. 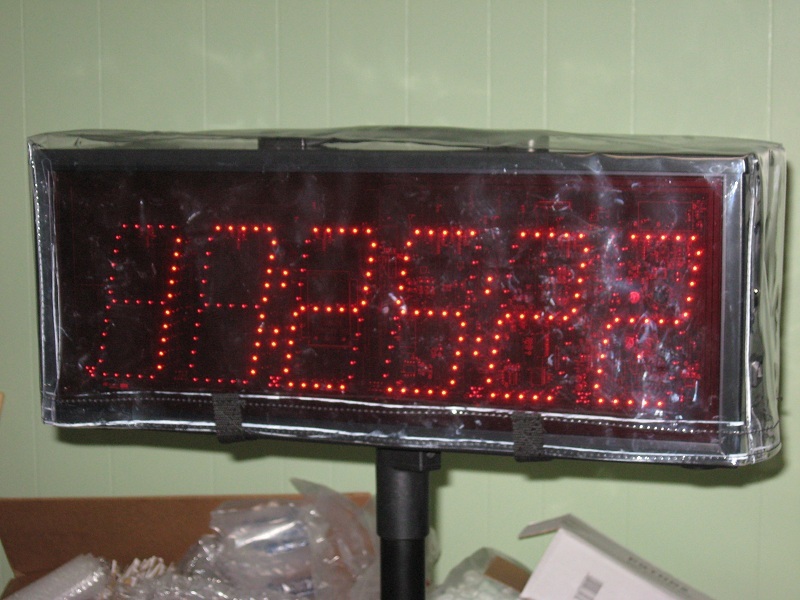 The FLC-6 is a 6 digit high bright outdoor led clock, digits are 5.5” tall. View distance rated at 125 feet. 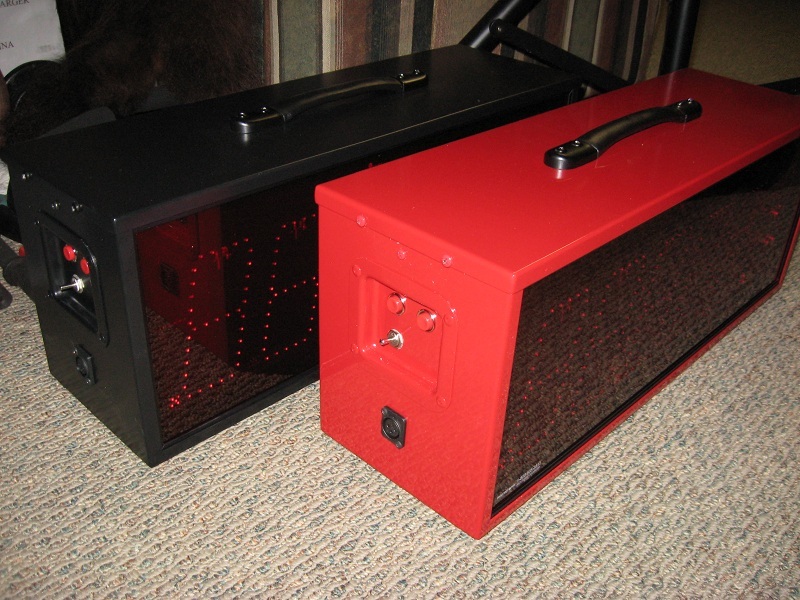 The FLC-8 is a 6 digit high bright outdoor led clock, digits are 8" tall. View distance rated at 250 feet. FLC-8 case – Aluminum - dimensions approx 11.5” tall x 31.5” wide x 7.75” deep. FLC-6 case – Aluminum - dimensions approx 9.75” tall x 24.5” wide x 7.75” deep. Now with Remote Start Option. Use Grip Switch or Gun-Start Transducer. Powder Coat finish – Standard Black Frost - See Slideshow below for a close-up look. Custom color available upon request with up charge. Here it is in Fire Engine Red. Mounted Controls include one toggle switch on/off/charge, two push button switches – one to reset to zero and one to start/stop operation. Wireless remote gives the ability to set elapsed time then can be started with either wireless remote or push button. Count Up or Count Down ability. AC power socket. The semi-hard (padded) case has hidden velcro and a handle webbing wrap like a duffel bag. The semi-hard case has plastic protection panels built in to the bottom, front and back. The clock panels are individual units and can be replaced easily at any time should anything catastrophic happen to them. The panels have a one year warranty and the LED's have a life expectancy of 100,000 hours. Easy to transport easy to set up and use. Included for the price: Clock w/remote, Tripod, Rain Cap, Charger, Semi-hard Carry Case. FLC-8D Kit includes dual sided clock, 8 inch tall digits, dual row led numerals, premium tri-pod, carry case, remote, charger, rain cap. $2395 plus shipping. FLC-8S Kit includes single sided clock, 8 inch tall digits, dual row led numerals, premium tri-pod, carry case, remote, charger, rain cap. $1995 plus shipping. FLC-6D Kit includes dual sided clock, 5.5 inch tall digits, single row led numerals, standard tripod, carry case, remote, charger, rain cap. $1995 plus shipping. FLC-6S Kit includes single sided clock, 5.5 inch tall digits, single row led numerals, standard tripod, carry case, remote, charger, rain cap. $1495 plus shipping. 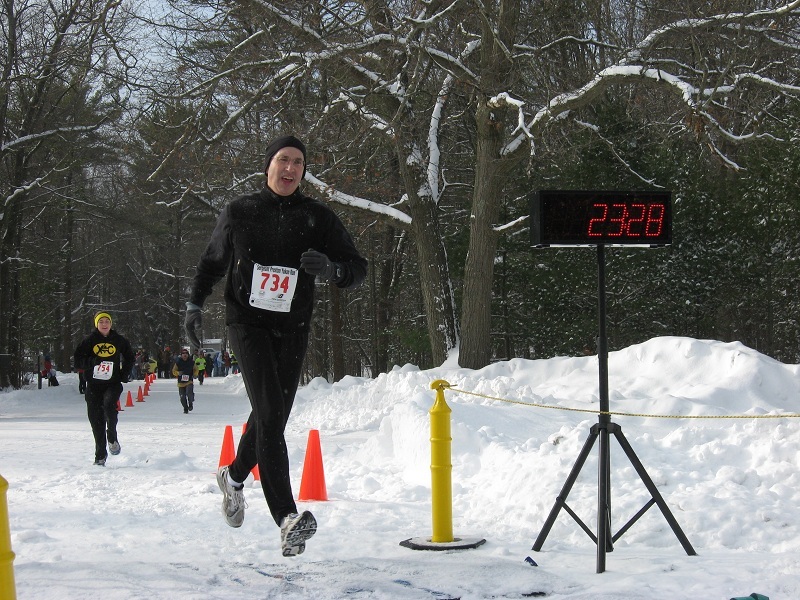 Plus shipping – estimate UPS Ground: $75-$110 depending on distance from West Michigan. Note on shipping - There have been some damaged clocks due to UPS handling so I have developed custom packaging which surrounds the clock with styrofoam then packed in very strong double wall boxes. 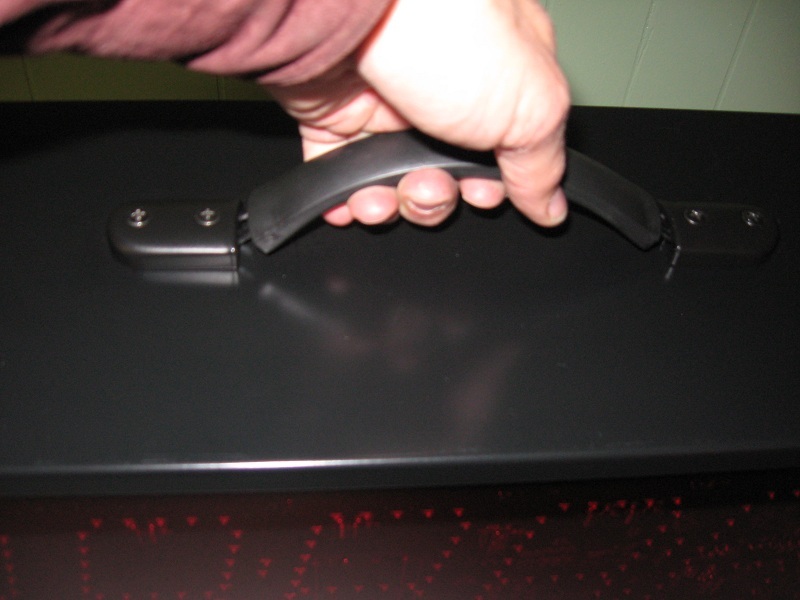 It is recommended that the box be saved and used anytime the clock is shipped to an event or any other destination. The box and packaging alone accounts for $25 of the shipping costs. This gives you that extra measure of protection and security for your investment. Click on Mini Slide-Show for more viewing options. Here is a video of the clock in operation. I have stacked three clocks, notice in count-up and count-down mode there is capability to display hundredths. Plus you can have blinking or steady colon. Here is a video showing seven clocks stacked. Setting all at once with one remote. Makes it eazy to start all clocks at once for distribution around the race to the Mile Marks. Here is a video of the FinishLine Clock at the CCAC XC Championship Meet showing Dual Sided operation. Now Available - Rain Cap to fit the Electro Numerics Race Clock (example shown below). 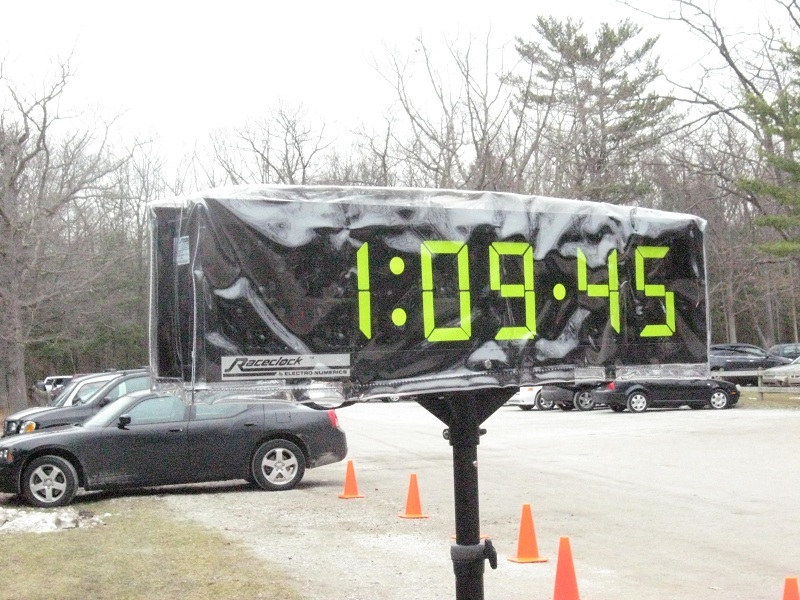 This will provide a waterproof cover for your Race Clock and still give excellent visability to the finishers. Has velco fasteners on bottom to insure it will stay in place even in a Gale Force wind. $95 plus shipping. This one fits the 6 digit 6" flip or LED model. Have a different model? No problem, send me your dimensions and or model number and I can make one to your specs.